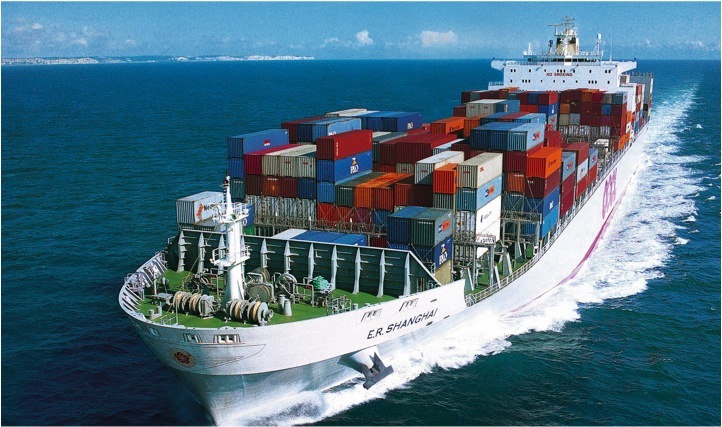 Importers utilize the services of various logistics entities in the cargo transportation process, including international forwarders, shipping companies, air carriers, custom brokers, logistic warehouses and many more. International cargo transport is not a precise science. Actual departure and arrival times involve many factors beyond the control of the transportation entities, such as weather conditions, congestion in the origin or destination port, political conditions (war), labor strikes in the port, and many other factors. With this in mind, when is an international forwarder liable for a delay in the arrival of cargo? In the following article we will review a claim of over 500,000 ILS submitted by a furniture importer against a forwarding company due to a week delay in the arrival of cargo from China to Israel. The importer claimed the goods were intended for display in an exhibition, but did not arrive in time. The court examined the evidence presented and absolved the forwarding company from any liability. The importer purchased Chinese merchandise with the intent of marketing it to his customers during an exhibition he organized on the occasion of the Ramadan, between 10.8.09 and 15.8.09. The importer chartered a forwarding service from the forwarding company, to transport the merchandise from China to Haifa Port. The arrival date was set to 6.8.09, four days before the exhibition’s opening date. The actual arrival date of the cargo was 13.8.09, so the exhibition was held without displaying the new merchandise. The importer claimed the forwarding company caused him tremendous losses in lost sales of thousands of products which did not arrive in Israel in time. The forwarding company argued that since the cargo reached its destination intact, it fulfilled its commitment to the importer. Furthermore, the forwarding company claimed that the price offer and invoices clearly state that the arrival date is an estimated arrival date, not a final arrival date which the forwarding company is committed to. Moreover, the company argued that the importer did not stress the importance of the arrival date, and should have anyway prepared himself in advance and order the merchandise earlier. The forwarding company submitted a monetary claim of 115,000 ILS against the importer for an unpaid debt. The importer claimed he ordered a direct shipping, and the forwarding company scheduled a transshipment, which takes longer. The court examined the evidence and determined that it was not proven that the importer specified a direct shipping, nor that he informed the forwarding company of the significance of the cargo’s arrival date. The existence of an option of direct shipping from the origin to the destination at the time was also not proven. The importer’s claim of transshipment was also rejected on factual grounds. The forwarding company claimed it transported the cargo via the closest available option at the time. The court determined that even under the assumption that the cargo could have been shipped directly, but was transshipped, it was not proven that it would have arrived earlier, considering its departure dates. The court ascribed to the importer the fact that he knew the arrival date was estimated and not final, and may be delayed by a few days. The court determined that the importer ordered merchandise near the time of the exhibition, knowingly taking the risk that any delay in its arrival may delay its display in the exhibition. The court determined that the importer should have prepared differently and order the merchandise earlier, and not so near the date of the exhibition. The court examined the conduct of the forwarding company and determined that it was not proven the company neglected its duty by not transporting the cargo on time. The court ruled the forwarding company acted swiftly and the cargo was released in Israel in a relatively short period of time. As for the counter claim submitted by the forwarding company for an unpaid monetary debt: The forwarding company claimed the debt is not solely from the last shipment, which arrived late, but from other shipments as well. Conversely, the importer claimed the aforementioned debt is solely from the last late shipment, for which he refused to pay due to the delay in arrival. The court ruled that even under the assumption that the debt was solely from the last shipment, the importer still received a service, as the cargo was transported to Israel, and is therefore required to pay. In light of the above, the counter-claim submitted by the forwarding company for an unpaid monetary debt was accepted, and the importer was ordered to pay the full sum of 115,000 ILS to the forwarding company. The claim submitted by the importer for a delay in the cargo’s arrival was rejected. The importer was charged with legal costs of 20,000 ILS (plus tax).